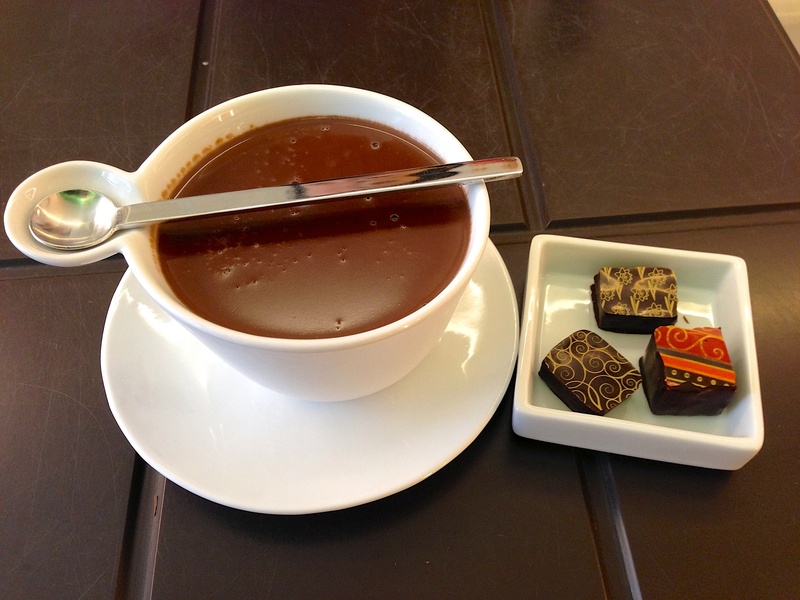 A very thick and very rich hot chocolate from Artisan du Chocolate on Westbourne Grove. The table looks like a giant bar of chocolate, complete with a small bite taken out of a corner. Heavenly. I felt a bit sickly afterwards though.